Welcome to AIC and let me congratulate you on your choice of College! Like you, once I was a student juggling work, studies and supporting my family, not an easy task but commitment and passion are two qualities I still maintain and wherever I go I try to send the message through. Hospitality has been a long and exciting journey for me, from Small restaurants, Coffee shops to fine- dining, Bistros, Hotels & Casinos, catering, owner of my own restaurant, television shows, newspaper articles, reviews, live cooking demonstrations and finally hospitality teacher. It has been rewarding and has allowed me to meet fantastic people and places, to learn new skills working under extreme pressure and be 100% reliable. It is all about the “team” in the kitchen environment, self-discipline and commitment. Hospitality is a very demanding industry and not for the faint hearted We Chefs pride ourselves on hard work, passion and eye for detail, we are committed and reliable, hardworking, tireless and have a fantastic sense of humour, an indispensable skill for chefs nowadays. Through experience I have witnessed the many faces of Australian hospitality sector, its evolution, weak, strong points and its main asset, “Diversity”. Multicultural Australia is well represented by the different styles of cuisine around the main cities, at AUSTRALIAN International College, we bring you a fresh approach to the Hospitality sector, working on the foundations, classic techniques with modern concepts, showcasing the culinary term, ‘Modern Australian’.Our highly motivated staff is well trained and experienced in their field. Our current program has been designed to be user-friendly and to meet your needs as an international student. We provide support and one-on-one tutorials when required by the students. 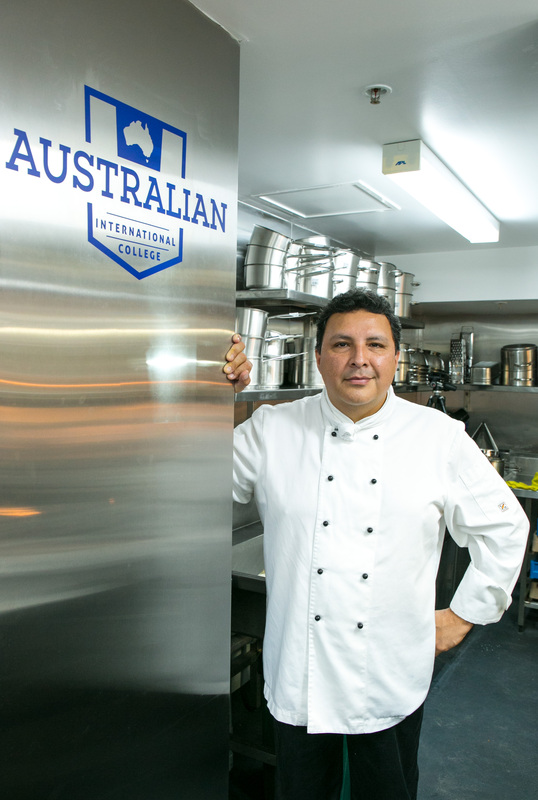 Our sister English College (NSW International English College) has highly qualified teachers ready to assist you and advise you on your option when language support is needed.“Cheffing”, a term used among Chefs to define their trade, is about engaging and committing yourself to provide not a meal and good service but an experience. Tourism and Hospitality is one of the fastest growing sectors in Australia. Opportunities to consolidate your skills and your natural abilities will make you succeed in this industry. Thanks for allowing us to take you on this rewarding experience that is Hospitality.